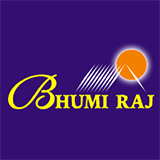 Founded in 1999, it has taken Bhumi Raj a short span of time to make a reputation as one of the leading builders in Navi Mumbai. Promoted by professionals who have been in the construction field since the mid-eighties, Bhumi Raj Constructions is today well-known for its commitment to quality, timely delivery, efficient customer service, and a transparency in every transaction that speaks volumes about the high ethics the company brings to the business. Not surprisingly, the company has earned the trust of its customers as well as an ISO 9001-2000 accreditation along the way. “Bhumi Raj has established a strong presence in the real estate market in Navi Mumbai. At Bhumi Raj, we firmly believe that our focused presence at Navi Mumbai with its multiple advantages and our in-depth geographical knowledge of the region provide us the edge to make use of the excellent opportunities in store here. I am proud of the fact that Bhumi Raj, with its dynamic vision, ethical policies, business acumen and professional approach has emerged today as a name that has come to mean full customer satisfaction, selection of ideal sites, use of high quality materials, state-of-the-art techniques, perfection in construction, adherence to details, and a rigorous effort to set global standards. Bhumi Raj was incorporated with the aim to fulfill the mass housing need of people by providing economical & quality housing with stringent delivery schedules. In the slackest period of 1999, Bhumi Rai had envisaged a mass housing project named "Moraj Residency" at Sanpada, Palm Beach Road, Navi Mumbai consisting of around 850 residential units and 60 commercial units. The location and even the surroundings were totally virgin. It was only the vision and dynamism of Bhumi Raj that made it launch such a huge project in a totally unexplored area under all adverse circumstances. The place was lacking any kind of infrastructure such as sewerage, water and electricity. To make matters worse, there wasn't even a single road. The venture was not convincing to any member of the housing industry and to others as well.